Hello, my name is Mr. Diamond and I have been teaching at Carpinteria High School since 2011. During my tenure at CHS I have taught Physics, Chemistry, AP Physics and AVID. I also have coached X-Country and Track and Field (distance, mid-distance, and pole vault). I have been a MESA (Math Engineering Science Achievement) adviser and the club adviser for W.E.S.T (Warrior Engineering Science and Technology) and FCA (Fellowship of Christian Athletes). I currently live in Carpinteria, but grew up in Northern California. I spent my early childhood living on the Peninsula in the Bay Area and then my family moved outside of Sacramento in the Sierra Nevada Foothills. 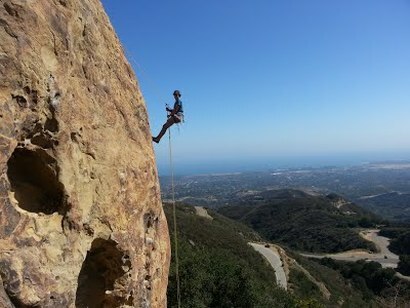 I enjoy being outdoors, rock climbing, cycling, running, swimming, hiking, etc. In high school I raced X-Country and Track, which eventually led me to racing triathlons in college. I am married to my amazing wife Ashley and we have a wonderful son Caleb.